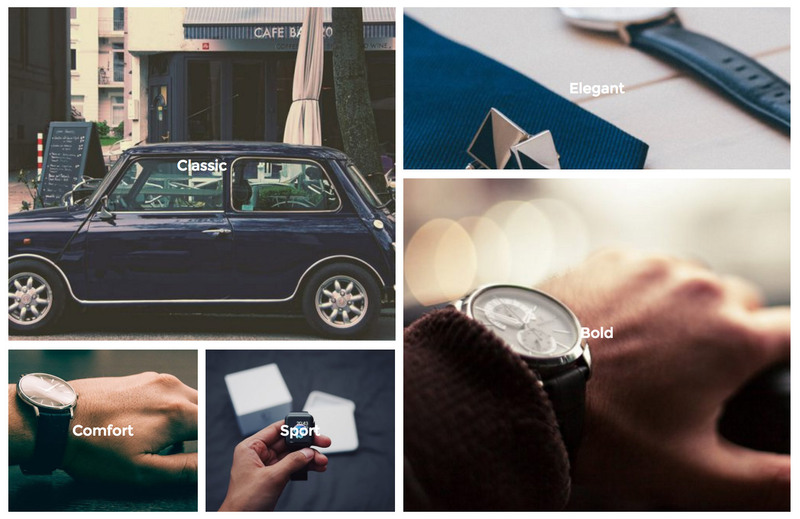 Badabing is a great new theme if you love grid based visual design and huge product images. 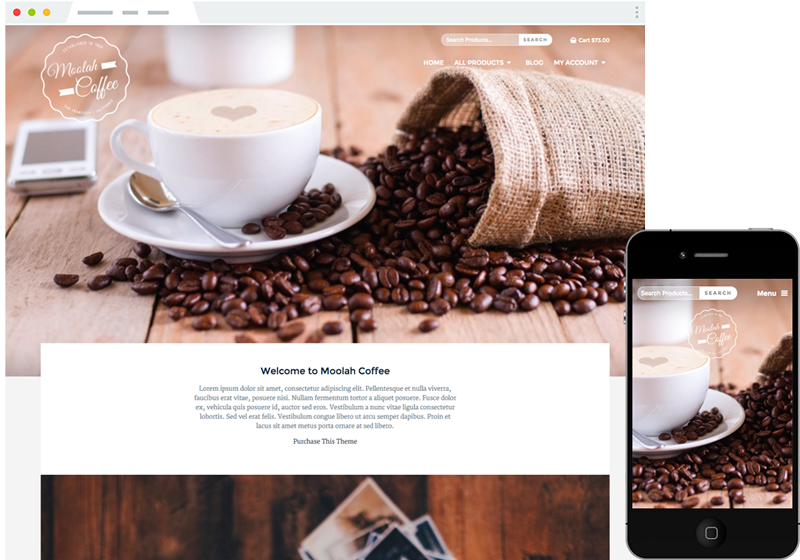 This is the perfect theme to show off your beautiful product images. 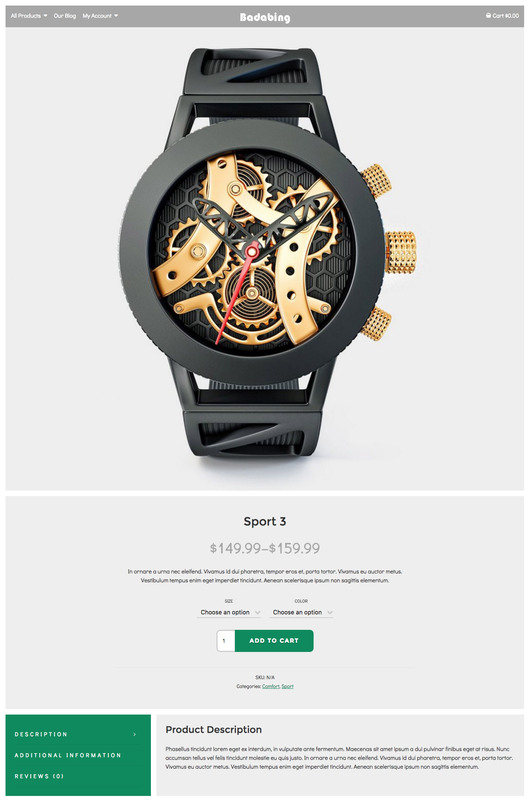 The product page is a totally unique design and layout that we haven’t seen yet from any WooCommerce theme. As always, it’s lightning fast and has no bloat. 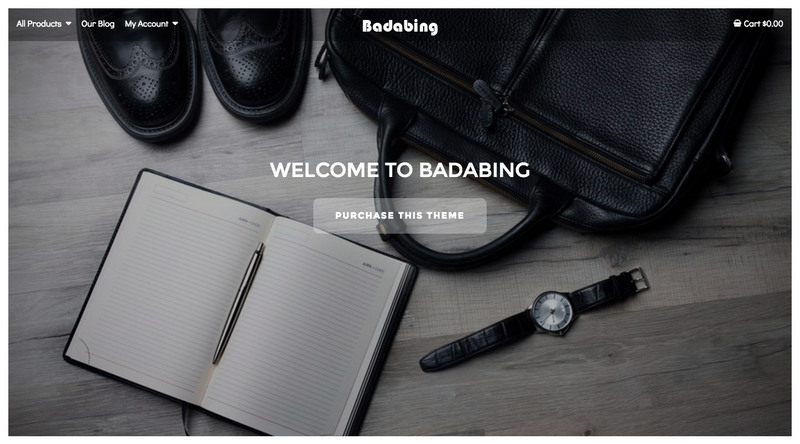 Badabing Storefront Child Theme is a child theme for Storefront. You must have the Storefront parent theme installed as the base theme in order for this theme to work correctly. Why Storefront and a child theme? It gets, on average, 2,000 downloads per day and has over 50 5-star ratings on WordPress. But it looks like crap :) and that's where we come in. Using a child theme is the preferred practice for designing WordPress themes. It's so Storefront can be updated safely while your child theme can continue working flawlessly. We stand by our themes! 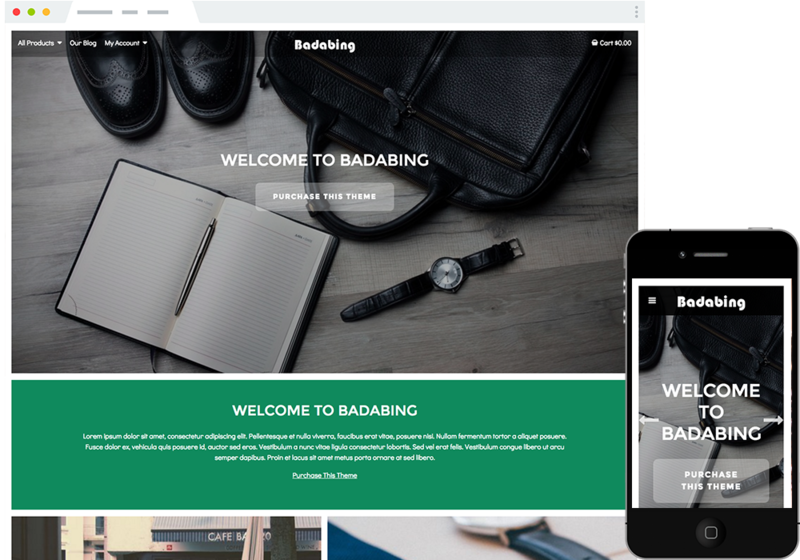 If you have any questions about Badabing Storefront Child Theme or the Storefront Parent Theme we are more than happy to help you out. Visit our docs above or request priority support. The awesome WooSlider is included with this theme and it's front and center on the homepage. Slide through any images you desire and give them some content and call to actions. This is great for directing your customers to sales, specials, or featured categories. We love cool category grids here at Storefront Child Themes and so Badabing has a 5 category grid option. Create your categories, drag and drop the order, make sure they have a great image, and they'll show on the homepage. We weren't lying when we said Badabing is made for showcasing your products with giant images. It's well known that the bigger and better your product images are, the higher the conversion rate. Storefront Child Themes is a new theme development house where we focus exclusively on Woocommerce and Storefront. Storefront is a fantastic parent theme and we build amazing designs for it.